Front: Fiji’s head of Mission to the European Union (EU) Ambassador Deo Saran. 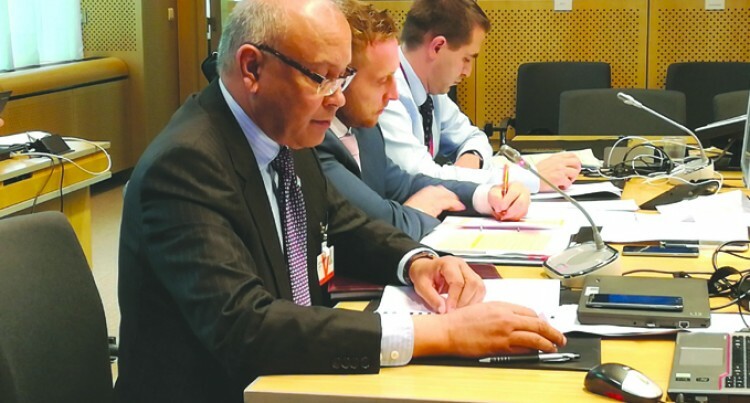 Fiji’s Head of Mission to the European Union (EU), Ambassador Deo Saran expressed deep concerns on the EU’s unilateral decision to compile a list of non-cooperative jurisdictions for tax purposes and called for examination of the criteria to allow for African, Caribbean and Pacific (ACP) States to retain sufficient policy space to incentivise development. Ambassador Saran made the remarks while delivering an intervention at the 21st meeting of the ACP Ministerial Trade Committee on 25 October. Ambassador Saran went on further to inform the MTC that Fiji had responded to the issued raised by the EU. Ambassador Saran underscored that Fiji remains committed to comply with the EU Code of Conduct, however, it should not have detrimental impact to our economy by limiting policy space to introduce targeted incentives to stimulate economic growth through trade and foreign direct investment.